Stylistic differences between 18 angels holding instruments of the Passion of Christ painted in the outside wall surface of the central drum at the Convent of Christ Rotunda in Tomar were highlighted by the conservation team during the last conservation intervention in 2013. They are all attributed to the same decoration campaign, held presumably between 1510 and 1525. A combined analytical study was carried out in six angels for technical and material comparison. In situ technical photography (visible and infrared) and spectrocolorimetry were complemented with optical (OM) and variable pressure scanning electron microscopy (VP-SEM-EDS), micro FTIR and micro-Raman spectrometry. Results show that all the paintings were produced following the same modus operandi and that the main differences rely in the way the pigments were used. Similitudes in the pictorial materials and in the binders with the ones found in the easel paintings from the Rotunda are also emphasized. The contribution that the various analytical techniques currently available to the researchers may bring to our knowledge about artworks is undeniable in terms of materials characterization that were originally used and the ones related to subsequent interventions. The Rotunda of the Convent of Christ in Tomar is a good example of it. Built between the late 12th century and mid-13th century, the Rotunda is one of the most emblematic monuments of Templar architecture. It is a central-plan Romanesque construction that has eight sides on its central drum and 16 on the outer walls, similarly to the Holy Sepulchre of the Mosque of Omar in Jerusalem. Over the centuries, this space has undergone several architectural renovations. The most significant was promoted by King Manuel I, presumably between 1510 and 1525 . The current decorative program embellishing the Rotunda dates from the same period and includes mural and easel paintings, stucco, tapestry and freestanding sculptures. In what concerns mural paintings, the Rotunda boasts a profuse array of decorative and geometric patterns and episodes of Christ’s iconography. Many of the decorations were redone or “revived” over the centuries by painter-restorers [2, 3]. In this paper, our attention is drawn to the 18 angels, holding instruments of the Passion of Christ, with 4 x 1.30/40 meters long, decorating the outside wall of the central drum (Figure 1). It is known that the best artists of the time (Portuguese and foreign) bore their imprint on the rotunda, turning it one of the main repositories of art history in Portugal . The mural paintings are no exception. Painting workshops normally worked with several co-workers and apprentices and a closer look at the 18 angels showing stylistic differences seems to confirm it. The angels painted in front of the triumphal arch, which are the most visible for the viewers entering the Rotunda from the Manueline church, are more refined and richly decorated than the ones in the opposite site, less noticeable from the ground floor (Figure 2). This fact was enhanced by the conservation team during the last conservation-restoration campaign held in 2013. Six angels were selected for a technical and material comparison (Figure 2). This paper presents the first results of the scientific study conducted both in situ and in laboratory which is the result of a partnership between the Nova Conservação, Lda company and the HERCULES Laboratory, University of Évora. The goal was to find out more about the pictorial technique and materials that were originally used by the different painters but also by later additions. 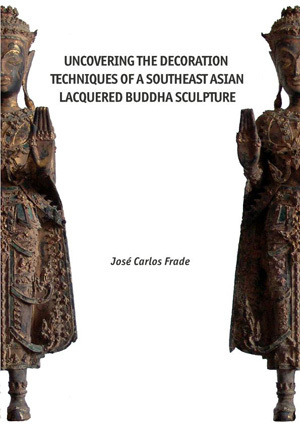 Technical research began with a thorough examination of the paintings using “non-invasive” methods. This task was the baseline for the graphic documentation and micro sampling. Photographic documentation. Visible (Vis) and visible racking light (Vis-RAK) photography of each angel were acquired with a Nikon D3200 24Mpx with an objective Nikkor 18-55mm f:3.5-5.6 GII ED ad a flash SB24. Infrared photography was performed with a modified Nikon D300 and with 850 and 980 IR filters. The goal was to gather data of the intrinsic characteristics of the whole paintings for comparison (such as plastering techniques, underdrawings, brushstrokes and chromatic palette). The angels overall view was achieved by mosaic methodology due the presence of the scaffolding. The number of photos taken ranged from 25 to 88 depending to the angels’ accessibility and complexity. The photos assembling and edition were made in Adobe Photoshop CS5.5. Raking light photography (RAK) was achieved using an illuminant at an angle of 15º-20º from the surface of the painting. The photos were taken from six different surface angles enabling in this way a complete information about the painting execution technique. Raw image output was used in combination with a colour profile GretagMacbeth colour and Colour Checker in order to get a more accurate and comparable colour registration. Photographic documentation was carried out by a professional photographer of the PRIM’ART project. Vis-spectrophotometry and colorimetry. A first survey of the chromatic palette and the first discrimination of the existing pigments were made by Vis-spectrophotometry and colorimetry after the cleaning of the six angels under study. The results of the 79 measurements that were carried out in the six angels flesh tones, draperies, wings and backgrounds were projected in the CIE a*b* colour space, in which a* is the green-red colour component and b* is the yellow-blue colour component. This allowed to get an overall view of the painters’ palette as well as a general idea about some of the existing pigments through their characteristic reflectance curve. Micro-sampling. For further material and technical characterization, micro-samples of paint layers were collected from the six angels’ carnations, wings, draperies (tunic and mantles), ornaments and backgrounds. The squares in Figure 2 show the location of the 12 micro-samples that are illustrated in this paper. They were taken with a scalpel during the cleaning intervention in adjacent areas of loss such as paint lacunae, fractures or detached paint layers. The selected sample sites are representative of the variations in trichromatic coordinates (L*a*b*) and spectral features. Cross-section preparation. Paint layers collected for cross-section analysis were embedded in epoxy resin (Epofix Fix, Struers A/S) and polished with a 1200 sandpapers SIC-Paper Grif in a rotation disc Drehzal Regler. Optical microscopy. Optical observations on the cross sections were performed with a Leica DM2500M optic microscope with reflected visible light in dark field mode and with ultraviolet illumination. The UV lamp used was a high pressure burner 103W/2 with a excitation filter: BP 340-380, dichromatic mirror:400 and a suppression filter Lp425, size K. The corresponding photographic documentation in visible (Vis) and ultraviolet induced visible fluorescence (UVF) were obtained with a Leica DFC290HD digital camera in 100, 200 and 500x magnifications. Scanning electronic Microscopy. SEM-EDS analysis was performed on a variable pressure scanning electron microscope HITACHI S3700N coupled with an X-Flash5010 X-ray energy dispersive spectrometer. The images were obtained on backscattering (BSE) mode on uncoated cross sections under variable pressure mode at 40Pa. Micro-Raman. Raman spectra were acquired as extended range in the 100-1800 cm-1 region on an HORIBA XPlora spectrometer equipped with a HeNe laser of 11 mW power operating at 638 nm, coupled to an Olympus microscope. The laser spot was focused with a 50x Olympus objective lens, with a laser power at the surface of the sample of 1.1 mW (15 seconds of exposition, 20 cycles of accumulation). Micro-FTIR. Twelve samples were analysed by Fourier transform infrared micro-spectroscopy for binder and green pigment identification. Comparison was made with references samples of yolk and egg white, casein from Sennelier, linseed oil from Windsor & Newton, and verdigris and copper resinate from KREMMER. The corresponding spectra were obtained using a Tensor 27 Bruker spectrometer coupled to the Hyperion 3000 microscope, in the range from 4000 to 600 cm-1, after 64 scans, with a spectral resolution of 4 cm-1 and a mercury-cadmium-telluride detector (MCT) for MIR measurements. The samples were compressed in a diamond EX'Press micro compression cell (P/N STJ-0169) with 1.6 mm diameter clear aperture and analysed in transmission mode using a 15x IR objective. The murals paintings from the central drum, as well as the ones around the Rotunda, were painted directly on the carved limestone surface without any type of plaster ground. This refers specifically to the absence of layers of lime mortars that are applied in order to soften the irregularities of the masonry, thus creating a compact and smooth surface to receive the painting. By raking light, the grooves left by cutting tools, the stonemasons’ marks and all the irregularities of the rocky surface are clearly visible (Figure 3). The only existing mortars are the ones found in the stone joints. In general, these are uneven, showing that they were applied in a coarse way, without major concerns in terms of texture and final appearance. Figure 1. Partial view of the murals in the outside wall of the central drum and its location in the Convent. Figure 2. Overall view of the six angels selected for comparison and their location in the central drum. The white squares indicate sampling areas. Photo by Manuel Ribeiro, 2013. Figure 3. Details of the pictorial support in rancking light. Photo by Manuel Ribeiro, 2013. The absence of mortar layers clearly indicates the use of a secco technique. In Portugal, only one case of a mural painted directly onto stonework has been reported so far, dating from the early 15th century . In that case, the pigments were mixed with lime and they were applied onto a limestone surface. Regarding the six angels under study, a closer look at the extensive and deep craquelure, analogous of those in oil paintings, show that an organic binder was used. To paint with an organic binder on a dry wall usually required a pre-treatment of the surface with sealants. In some of the collected cross-sections, traces of organic materials are suggested by UVF photography at the interface of the stone with the paint layers (Figure 4). Different recipes can be found in classical painting treatises of that time. Cennino Cennini recommended in early 15th century book Il Libro del Arte, for example, a mixture of egg (whole) and fig-tree milky juice diluted in water for painting with tempera in a dry wall . This author does not mention the methodology for oil painting but Vasary does in his 1550 technical treatise. In fact, this author dedicates a whole chapter to the subject which suggests that the use of oil on dry walls had become a current practice, at least in Italy, by mid-16th century [6, 7]. Coating the surface with oil (until reaching surface saturation), with oil and egg or with other sizing (from animal or plant origin) were among the recommendations, usually followed by a coat layer of priming of oil colour . Unlike what had been expected, it was not found evidence of any technique that might have helped the painters to transfer the drawing of the six angels, which are about 4 meters high and 1.25/1.35 meters wide. By Vis-RAK light, it was only possible to identify incisions made directly on the stone with a pointed instrument along the straight lines of some of the symbols of the Passion of Christ and edges of paint along the brown and white friezes that frame the six figures. The edges reveal the use of a brush along a ruler that was subsequently removed. Traces of pounced drawing were found in the golden base decorations of one of the angels (Figure 2, sample CT7esq). It was the only place where the charcoal dots are visible. Regarding the other angels, neither visible light nor infrared light allowed confirming the use of this technique. In general, the infrared photographic images (obtained using 850 and 950 nm filters) did not provide any additional information to the one that had already been found with visible light (Figure 5). Given that infrared radiations detect carbon-based materials given that these are highly absorbent, the presence of any underlying preparatory drawings made with charcoal (or graphite) would, in principle, be highlighted in the photographs. That is what happens in the decorative details of the clothes and in the outer layer of the outlines of the flesh tones, which were made using charcoal (Figure 5). The same does not happen in the case of drawing made with red ochres. These pigments, which contain iron oxides (Fe2O3), quartz (SiO2) and clay minerals, are partially invisible under this type of radiation and, as such, their presence in underlying layers is not easily identifiable in the photographic images. This could be the case in the paintings under study. Another information that was ascertained by Vis and Vis-RAK light was the occasional presence of changes to the decorative program. Figure 6 highlights the traces of gilding and gilt leather found on the cloak and tunic of angel CT1esq and in several areas of the cloak of angel CT7esq. The outlines of the gilt leather are clearly identifiable under a racking light in angel CT7esq, while in angel CT1esq it was only possible to find traces of its use. The gold leaf was applied on top of it. In both cases, these areas were renewed with layers of paint. Figure 4. UV photos of three samples. The presence of organic materials as sealants are suggested by the whitish fluorescence at the interface between the paint layers and the pictorial support. Figure 5. Details of the angels faces CT1dt and CT4dt and of the decorative motifs at the mantle of angel CT1esq in visible (on top) and Infrared red light radiation (below). Figure 6. Details in visible light of the gold leaf (traces) and of the leather gilt in the mantles of angel CT1esq and CT7esq. Photo by Manuel Ribeiro, 2013. In situ analysis of the paint layers of the six angels reveal the same technique of smooth modelling, almost like sfumato (Figure 5). With this technique, the colours strokes blend into one another without harsh outlines, creating in this way a highly realistic rendering of facial features and volumes. It seems clear that the stylistic differences between the angels rely in the artist skills to do it (Figure 5). By OM, it can be concluded that the flesh tones were modelled with one or two colour shades, usually from dark to light, before final shadings and highlights were added. The draperies do not always follow the same rule. In the richly decorated edging of the angel CT1dt carrying the sudarium, the painting details are more complex reaching up to five overlapped paint layers in the small scale figures and pearls. Almost all the cross-sections analysed by optical microscopy show a grey layer (or traces of it) applied on top of the limestone. This layer consists of variable quantities of lead white (basic lead carbonate - cerussite) together with carbon black (occasionally with calcite) and it seems to serve as colour ground, or imprimitura, for the figures composition (Figure 7). Curiously, in the face of angel CT1esq, it was found a thick orange layer made with red lead (minium) that apparently serves the same purpose (Figure 7). In what concerns the remaining palette of colours used by the painters, the analyses identified: red ochres, mercury sulphide (cinnabar or vermillion), red lakes; yellow and brown ochres, lead tin yellow, yellow lead antimonate; azurite (blue basic copper carbonate) and smalt (Co blue potassium glass); a yet non identified green Cu based pigment; and bone and charcoal black pigments. All the pigments were mixed with lead white which was also used as white pigment. Their frequent combination as overlapping layers and/or their mixing within the same layer produced a wide range of chromatic tonalities that are projected in the CIE *a*b* colour space (Figure 8). Red paint layers. Red ochres were identified by SEM-EDS by the presence of iron (Fe), aluminium (Al), silicon (Si) and potassium (K) in their composition (Figure 9, spectrum 1). Hematite (Fe2O3) is the mineral responsible for the red colour, although they may also contain other chromophores, such as goethite (FeO(OH)) and manganese dioxide (MnO2), which render orange and brown shades (Figure 8). Earth pigments are among the first materials used as pigments due to their abundance in nature. As already mentioned above, their composition includes several minerals, namely iron oxides and hydroxides (FeO(OH) and Fe2O3), quartz (SiO2) and clay minerals. In the six angels under study, red ochres were used mainly to paint the figures frame and as background for the golden decoration in the angels’ base. The flesh paint layers were obtained using predominantly small amounts of mercury sulphide (HgS) mixed with lead white and punctually with calcium carbonate, earth pigments and carbon black (Figure 9, spectrum 2). The difference found among the angels are mainly the pigment concentrations. It should be noted that mercury sulphide, unlike the ochres, was considered a luxury material due to the fact that mercury and its ores are less commonly found in nature. In fact, in Portugal there are no geological evidences of its presence which means that these red pigments were imported from abroad. Therefore, it is not surprising that it was also the pigment chosen for the tunic and the mantle of the angels more richly decorated (CT1esq and CT1dt). Figure 7. Microphotograph of the grey and orange ground layer and its corresponding Raman spectra. Cerussite is identified by its characteristic band at 1053 cm-1, calcite at 1088 cm-1 and red lead at 124, 154, 229, 317, 394, 461 and 554 cm-1. The presence of carbon black from vegetal origin in the grey layer is identified in turn by its raman bands D˂G. The samples were taken from angel CT4esq and from angel CT1esq, respectively. Figure 8. CIE a*b* projection of the paintings color palette. Figure 9. Microphotograph (Vis and UV) and EDS analysis of the three types of red colorants found in the mantle of angel CT1dt: 1-red ochres; 2-mercury sulfide and 3-red lakes. The discovery of a red lake, an organic colorant, is particularly important in the context of mural painting because, by itself, confirms the use of a secco technique (Figure 9). The use of dyes in frescoes was not usual due to the alkalinity of the binding agent and to the insufficient protection given by the crystalline matrix against ultraviolet radiation. Contrary to what was initially thought, the red lakes are not a later repaint (or at least not all). In the six angels under study, red lakes were found in the final shades of the vests folds but also in the figures’ modelling such as flesh tones and hair, mixed with mercury sulphide and red ochres, and at the wings of the angels, mixed with azurite. By SEM-EDS, red lakes are characterized by the high content in carbon and aluminium (Figure 9, spectrum 3). By optical microscopy, red dyes are easily identifiable under visible light thanks to their translucent appearance, and under ultraviolet light, thanks to their rosy fluorescence (Figure 9). At the moment, their origin remains unknown. Cochineal and madder lake are the two most likely hypothesis based on a study conducted on the panel paintings from the Rotunda, assigned also to the decorative campaign commissioned by King D. Manuel I .
Yellow and brownish yellow paint layers. Figure 10 shows the OM and EDS analysis of two yellow paint layers in the vests of angels CT1esq and CT4dt. Besides the expected ochres, characterized by the higher content in Fe, K, Si and Al, it was also found particles enriched in lead (Pb) and tin (Sn) and in lead (Pb) and antimony (Sb). Lead tin yellow (type II) is suggested by the presence of silicon (Si) [in type I, Si is absent] while Pb and Sb together seems to reveal the use of the so-called Naples yellow [9,10]. In both cases, SEM-EDS analysis was unable to determine the stoichiometry of the compounds because the Pb:Sn/Sb ratio is affected by the presence of lead white. Lead tin yellow based pigments were mixed with earth pigments possibly to increase the paint layers’ opacity and to reach a brighter yellow or orange-yellow hue. Lead tin yellow was also found on panel paintings from the Rotunda that are assigned to the same chronological period . The presence of this pigment in these murals could suggest a greater connection than previously thought between artists. Blue paint layers. The artists did not used ultramarine blue as was initially thought for the angels’ tunics. By EDS analysis only copper was identified and by Raman spectroscopy, the peaks of medium-high intensity at 406, 766, 841, 1100 cm-1 have allowed the identification of the pigment azurite. Azurite is a naturally occurring mineral, with the formula 2CuCO3.Cu(OH)2, that was used as an artistic pigment, especially throughout the Middle Ages and the Renaissance [9, 11]. This pigment was found in all the blue areas of the vests and wings of the six angels. The main differences between the paint layers analysed are the pigments concentration and size; the intensity of its occurrence and paint layers’ thickness (Figure 11). Smalt, a blue powdered potash glass with cobalt (Co2+) as chromophore was also found as a repaint over a layer of red ochre in the background and azurite in the wings. The use of smalt in substitution of the more expensive azurite is not surprising since this artificial pigment was commonly used with this purpose in Europe and among artist’s in Southern Portugal from the mid-16th century onwards [12, 13]. Smalt has passed almost unnoticed in the projection of the blue chromatic space because of pigments colour alteration. By OM, many of the particles in the cross sections have turned grey or have an almost colourless look. Green paint layers. Figure 12 show OM and EDS elemental map of the green ribbons of angel CT1esq and CT4esq. Both correspond to finishing details that could be original or latter repaints. Copper was found in both samples but by OM it is possible to see that two distinctive colorants have been used. In a, the green hue was achieved by overlapping and mixing grain particles of azurite with Naples yellow while the green layer of cross-section b has a continuous morphology typical of glazes. Green layers with the same appearance were also found in angel CT5 and CT7. Two hypotheses are currently under study – verdigris and copper resinates. Both pigments are characterized by an organometallic nature, being copper carboxylate complexes of Cu(II) with acetic (at different hydration degrees) and terpenic acids, respectively . First analyses by micro-FTIR were not conclusive. Only one sample shows the asymmetric and symmetric stretching vibrations of the coordinated carboxylate groups around 1602 and 1422 cm-1, respectively, characteristic of copper carboxylates. Further analysis by means of gas-chromatography/mass spectrometry (GC-MS) are projected for the near future for the possible identification of terpenic compounds and their characteristic oxidation products. Figure 10. Microphotograp and EDS analysis of yellow paint layers from angel CT1esq and CT4dt: 1 - brownish yellow ochre, 2 - lead tin yellow, and 3 lead antimoniate. Figure 11. Three examples of blue paint layers in angels CT7esq, CT5esq and Ct4dt. Azurite is restricted to some folds shadows in angel CT4dt while in angel CT7esq, the pigment was extensively used everywhere. Azurite was applied finely ground but also as a coarser particle apparently when a deeper color was desired. Figure 12. Microphotograph and elemental map of two green paint layers from angel CT1esq and Ct4esq. The elements in a are Ca, Cu, Sn and Pb and in b are C, Si, Ca, Cu and Pb. Black pigments. Carbon black pigments were used in mixtures with lead white, red and yellow ochres, red lakes and in the draperies, flesh tones and frames. The identification of animal black was based on the ratio of Raman bands D˃G (Figure 7). The D band is related to the degree of disorder of the carbon structure and the G band to the degree of graphitization of the same structure. The inverse, i.e. D˂G, is characteristic of charcoal from vegetal origin. The presence of phosphorous (P) in the animal black particles by EDS analysis further confirmed the previous assignments. Binding agent. Micro FTIR analyses of eight paint layers revealed that two kind of materials – oil and protein – were applied as binders separately in different layers as well as together, which might suggest the use of tempera grassa (Table I). Apparently at that time, the use of oil and (egg) tempera in a number ways were not unusual. Many cases are reported in Italy from the late 14th to the early 15th centuries, especially in panel paintings . The use of tempera grassa (or enriched egg tempera) is apparently a Mediterranean tradition. According to Higgit et al. the most likely reason for choosing this painting technique was to raise the refractive index of the medium, to increase saturation, transparency and the glaze like quality in dark colours such as reds, browns, blues and greens. In the paint layers analysed so far, no direct correlation can be made between colours and binders typology. Further studies will be conducted to explore all these hypotheses. 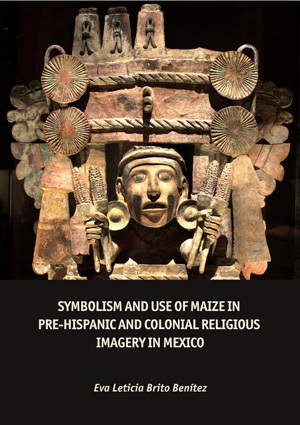 Particularly relevant, however, is the fact that these findings are also in accordance with the results found for the panel paintings from the Charola ambulatory, suggesting the notion of a Total Artwork (Gesamtkunstwerk) . 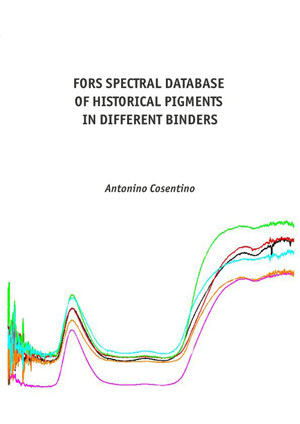 Table I. Binders identification by micro-FTIR spectrometry in eight paint layers from angels CT1dt, CT1esq, Ct4dt and CT4esq. On the basis of observations made during the restoration work and the results of samples analysis, we can conclude that the techniques and pigments used in the six angels were very similar. All the paintings were made directly on the stone wall without the presence of renderings to level out and create a smooth surface to receive the painting. A grey layer, made with lead white and carbon black, was found in almost all the samples collected, apparently to act as a ground (or imprimitura). In what concerns the paint layers, the main differences rely: on the pigments concentration and the extent of its use, on the mixtures that were done with the other pigments. and on the paint layers’ thicknesses. The range of pigments found is typical of the period for a secco painting technique: lead red, mercury sulphide, lead white, carbon black (from vegetal and animal origin), earth pigments, azurite, lead-tin yellow, Naples yellow (lead antimonate) and red lake pigments. Several similarities were found with the panel paintings from the ambulatory of the Rotunda made during the same chronological period. Particularly interesting is the apparent use of two different media (oil and a protein) alone and mixed. All these findings may be linked to the way in which these artists were trained and worked. The authors wish to acknowledge the consortium Nova Conservação Lda, the the administration board of the Convent of Christ in Tomar and the Direcção Geral do Património Cultural ( DGPC) for allowing this study; the Fundação para a Ciência e Tecnologia for financial support (Post-doc grant SFRH/BPD/63552/2009) through program QREN-POPH-typology 4.1., co-participated by the Social European Fund (FSE) and MCTES National Fund and Project PRIM’ART PTDC/CPC-EAT/4769/2012, funded by financed by national funds through the FCT/MEC and co-financed by the European Regional Development Fund (ERDF) through the COMPETE - Competitiveness Factors Operational Program (CFOP). The authors acknowledge also the professional photographer Manuel Ribeiro (http://www.mrfotosonline.com).